Las Francesa Shallows is a reef that parallels the more famous La Francesa reef and is closer to the shore. 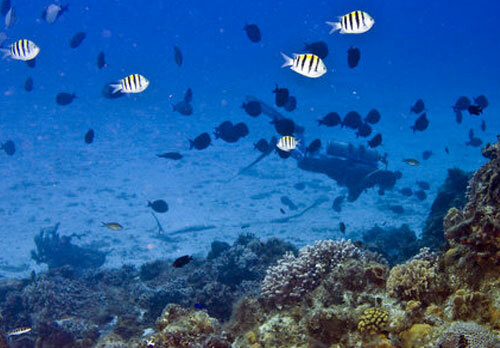 It is an easy dive and is often visited by snorkelers. There is a prominent ridge of coral that rises about 20 feet from the sandy bottom. You will follow this ridge until it starts to fade away. 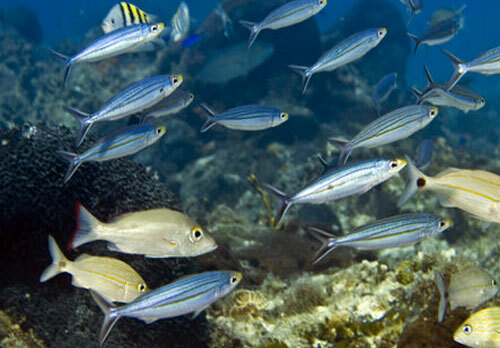 There are many large schools of fish that live along this ridge. 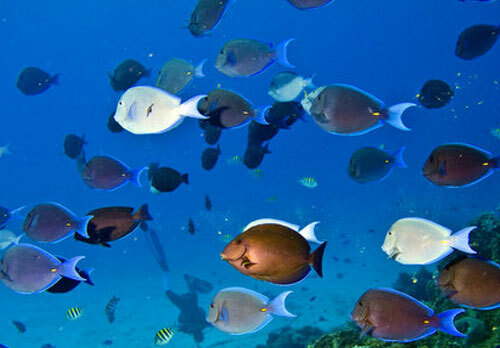 You can see huge numbers of blue tangs and various snappers and grunts. In addition you can spot boga fish. 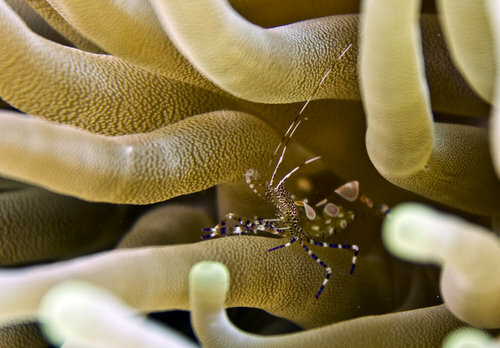 Look carefully in the anenomes and find popcorn shrimp and ghost shrimp. This is a nice dive if you have seen the rest of the reefs. It can add some variety to your diving vacation. Another bonus is that you can get a lot of bottom time due to the shallow depth.